There were 109 press releases posted in the last 24 hours and 153,273 in the last 365 days. NEW YORK CITY, NEW YORK, USA, December 14, 2018 /EINPresswire.com/ -- Dov Bechhofer is a computer engineer exploring how technology shapes our present and what technological advancements we can expect in the future. Recently, the FDA Commissioner announced the administration would increase its focus on digital services moving forward, which means new potentials for doctors and patients alike. In order for doctors to unveil new treatments and for patients to have a richer variety of procedural options, they have to first be evaluated for safety by the Food and Drug Administration (FDA). Patients and doctors are dependent on the administration’s approval, so it’s refreshing to hear that the FDA is taking steps towards digital health contributions that will provide more sophisticated and state-of-the-art services. Computer Engineer Dov Bechhofer keeps a close eye on emerging tech and he’s confident that the FDA’s decision to explore more digital health resources is something that can and will benefit everyone. Advances in medical technology and treatments bring faster, more effective results to patients. 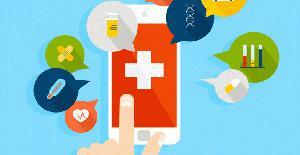 Digital health also encompasses communication between doctors and patients, and can help to prioritize care for optimal service. Better tracking of patient conditions will make diagnosing and treating ailments easier and will require less dedicated time from busy physicians. Soon, prescriptions may be filled through a smartphone app instead of patients having to go into a clinic to get checked out. Patients and consumers will be able to use digital health to better manage and track their health far more accurately than they can currently with wearable tech like Fitbits and iWatches. Apart from that, the FDA is looking into advancements that will hopefully reduce inefficiencies, improve access, enhance quality, reduce costs, and make medicine and treatments more personalized for patients. Current devices will be updated to add digital features and new systems of categorization and storing medical data will be implemented. The FDA will advance digital health through an official Digital Health Program that seeks to “better protect and promote public health and provide continued regulatory clarity.” It aims to accomplish this by encouraging collaborations and improving outreach to digital health customers. In addition, they will develop and implement regulatory strategies and policies for new digital health technologies. The subject of digital health gains momentum as corporations and some of the world’s largest developers create new paths to the market. Some of the topics currently under discussion are wireless medical devices, mobile medical apps, telemedicine, new data systems, cybersecurity and more. With tech focus moving to more advanced machines and powerful systems, the FDA’s actions will be instrumental to the limits and potential of the future’s digital health.